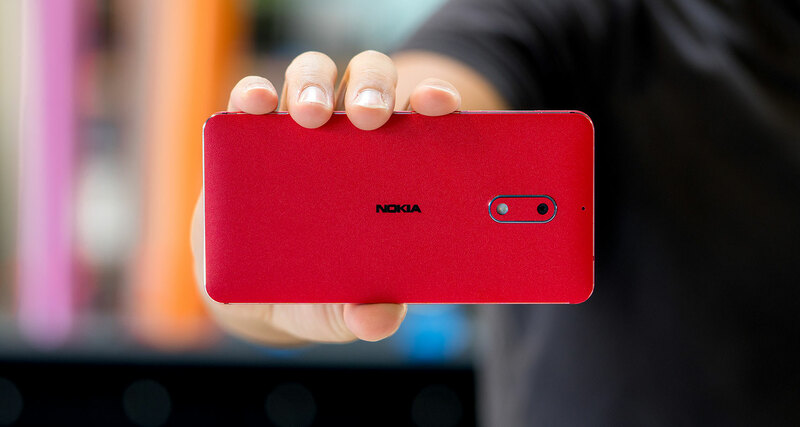 Nokia 6 has started receiving the March Android Security update in India. The update is 132.5 MB in size and you will be notified once the update is available on your device. You can always check for the update manually by going to Settings> About Phone > System Update. 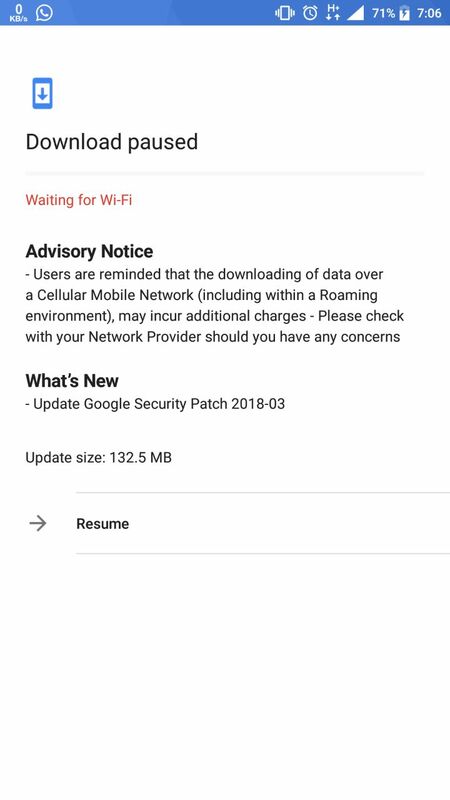 As seen in the screenshot below the update just has the March Android Security update and nothing else. 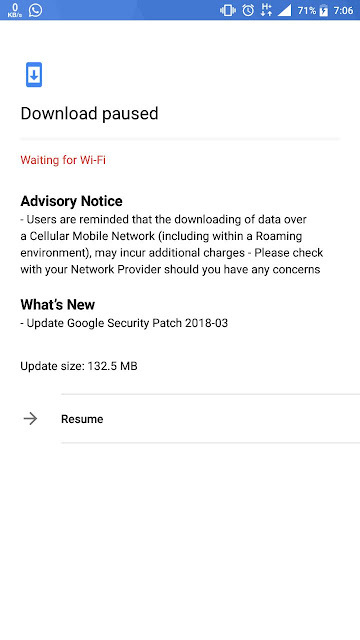 You can find more about Google's March Security update at Android Security Bulletin.